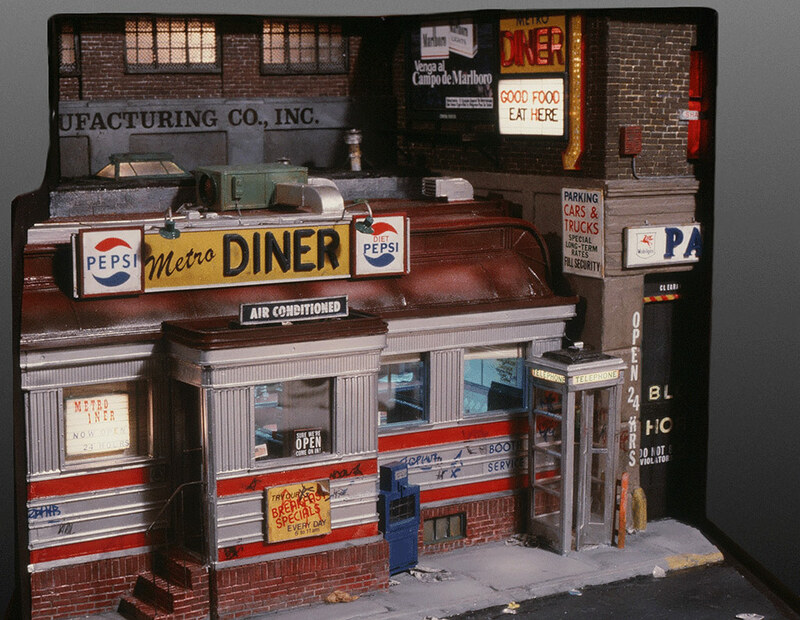 In 1983 I built an interior view of an urban diner (see MIDTOWN DINER). It took me two years to get to the outside view. 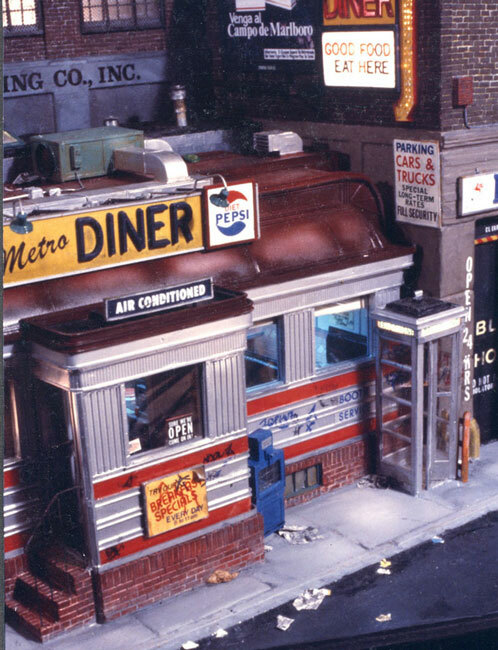 “Metro Diner” was the first stainless steel diner exterior I built. It was not based on an existing location, but rather a composite of details from several different diners of that era. It served as the prerequisite for a number of much more complex diner pieces including MISS AMERICA DINER (2000).